Taste Book: RECIPE: HOW THE EGG?! 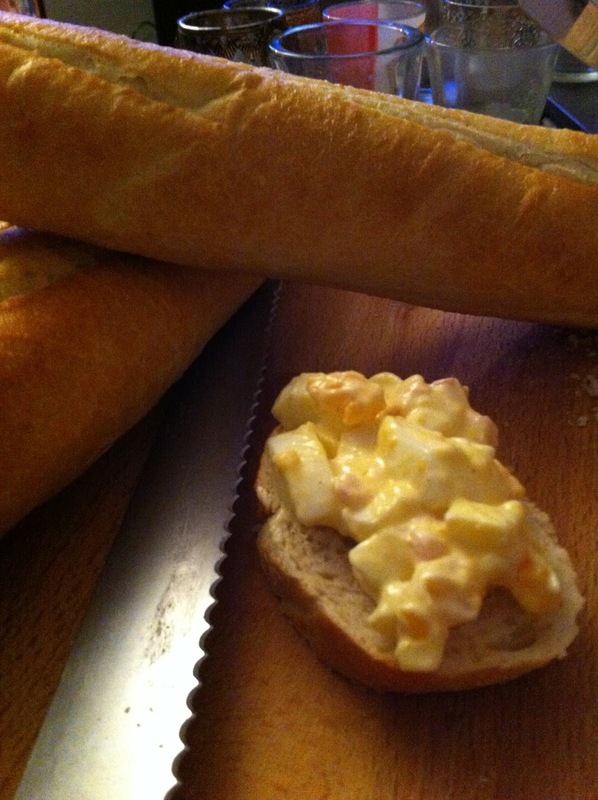 Yesterday we wanted to have some bread with sauces and meat and spreads and something else..
That something was to be egg salad! That might sound a bit nasty like mashed eggs(it actually is something like that) but it is MUCH better! Oh, and some bread to your own taste! First boil 4 eggs at least 6 minutes so they will be hard enough to cut.